What's a sandpiper doing in the top of that tree? And who's singing? 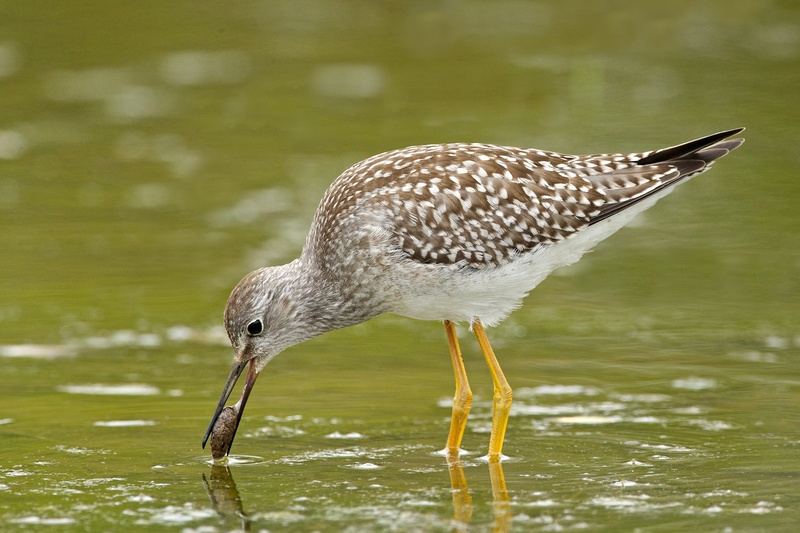 We've all seen sandpipers foraging busily on mudflats or at the ocean's edge. 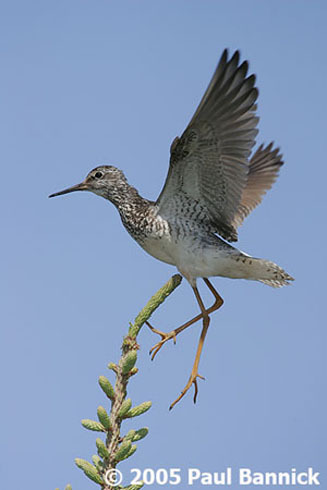 But this Lesser Yellowlegs often carols from the top of a tall conifer in its nesting territory in Alaska. The name "sandpiper" actually comes from the voices of these birds, rather than from their long-billed probing in the sand. While the name refers in particular to the birds' short "piped" -- or whistled -- calls, a number of sandpipers are surprisingly good singers. 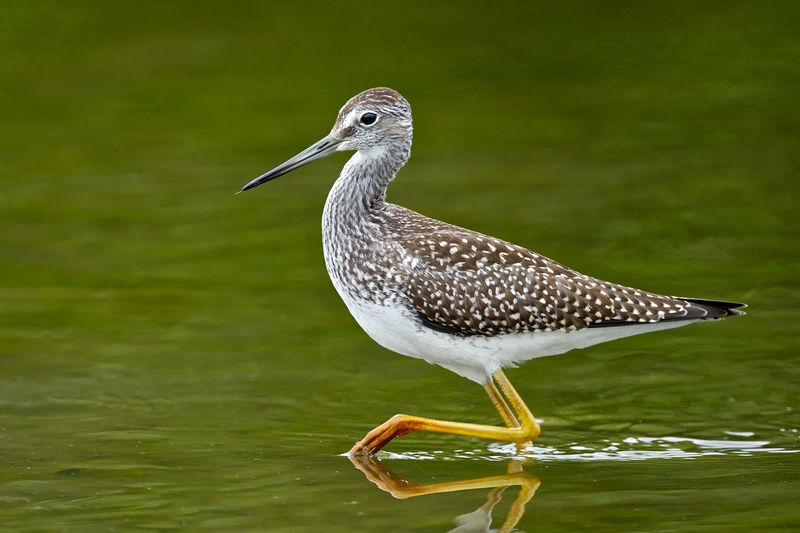 The musical, wren-like song you just heard is that of a Lesser Yellowlegs, a type of sandpiper. 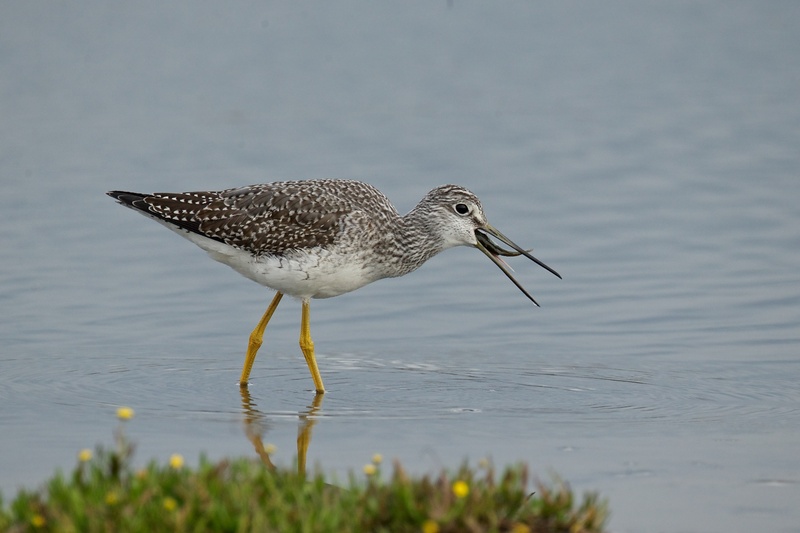 We know Lesser Yellowlegs and other sandpipers for their busy foraging on mudflats and at the ocean’s edge – but perhaps not for their singing. Now, picture this bird, in its nesting territory in Alaska, sitting atop a spruce tree. That’s right – a sandpiper perched at the top of a tree like our backyard robins – singing its caroling song. The name “sandpiper” actually comes from the birds’ voices, rather than from their long-billed probing in the sand. 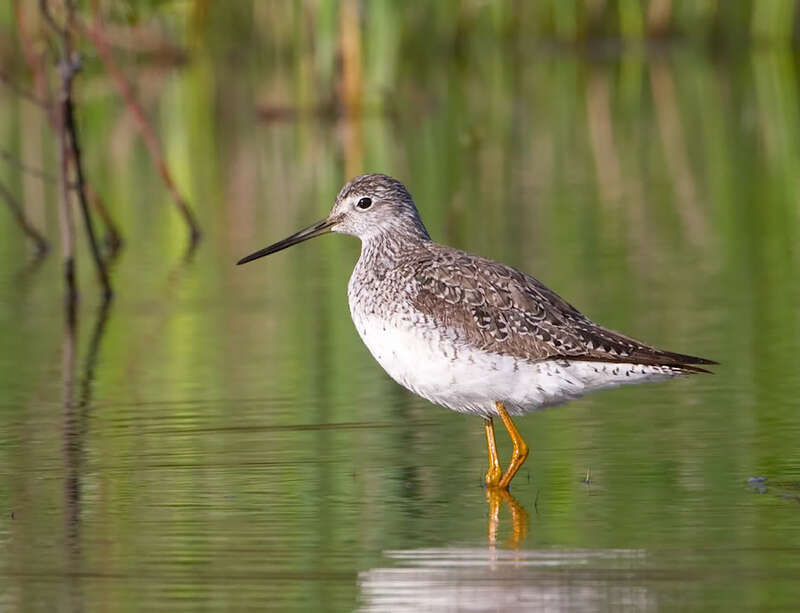 While the name refers in particular to the birds’ short “piped” – or whistled – calls, a number of sandpipers are also superior, and surprising, singers. Listen to this Dunlin as it sings in flight over its nesting territory in the Alaskan tundra. And this eerie hooting, which might conjure up the image of an owl at night, is actually the song of a Pectoral Sandpiper [Pectoral Sandpiper hooting], singing on the tundra well north of the Arctic Circle. You can hear these sandpipers again, and see photos, when you come to our web site, birdnote.org. I’m Mary McCann.